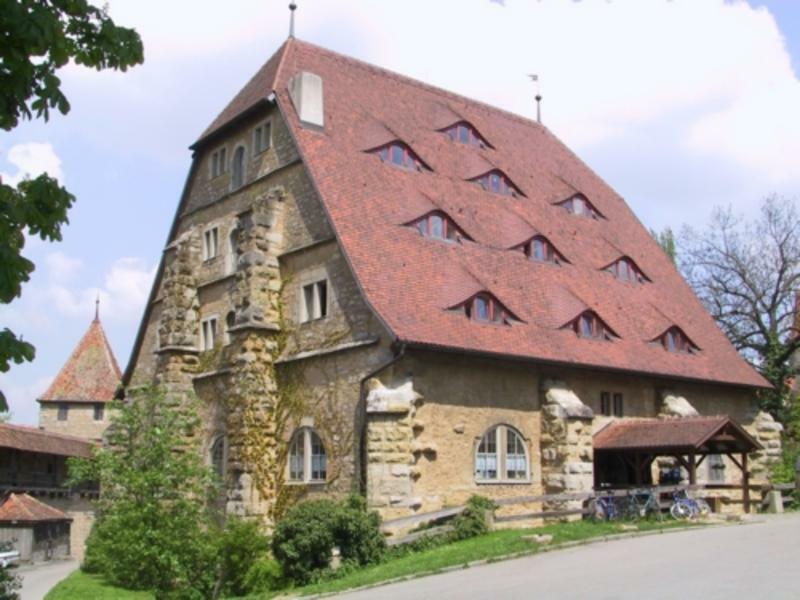 Welcome to Youth Hostel Rothenburg. The only hostel right in the heart of the city, all points of interest within walking distance. No curfew, guest laundry, WLAN, security lockers for each guest in the room, luggage storage. Large breakfast buffet included, cheap meals all you can eat available. 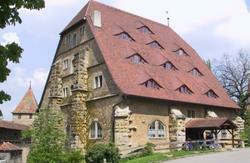 Hostel in two historical buildings, 180 beds in a splendid location and charming medieval atmosphere. Inside old town, 8 min. walking from market place and 15 min from station. By car take A7 Würzburg-Füssen, exit Rothenburg. Direction Parking site P1, from there through the big gate and next street left. Reception staff will help finding a parking lot if not near hostel. By train Würzburg - Munich switch at Steinach to Rothenburg. On platform see map grid b6, the houses 'Rossmühle' and 'Spitalhof' are located in the southern part of the old town.